The M1A is a rifle loved by many. As you can see, it comes ready to go while leaving enough wiggle room for customization. The price is so high because it has the characteristics that people want in a rifle. However, how do you know if a rifle gives you all you want if you don’t put it to the test? If you aren’t yet aware of what this sleek machine can handle, let us enlighten you. Out-of-the-box, a M1A rifle can shoot accurately up to 200 yards with less than 1 MOA in the right hands. After 250 yards, you’ll notice bullet drop increase and velocity decrease without arduous practice. By the time you hit 300 yards, the bullet drop is a whopping 8 inches. Isn’t there some way to overcome these limitations? Mount an M1A scope before your next trip to the range and you’ll be on your way to pro ranking. However, before you start throwing money around, let’s talk about what you should know about distance. An out-of-the-box M1A will have a barrel length between 16 – 22 inches. Therefore, we’ll use a median of 19 inches for the average range. If your barrel length is longer, add a few more yards to these standards. On the other hand, a few yards should be taken away for shorter barrels. Other factors like ammo and aftermarket parts can also affect these numbers. No matter what you do, you won’t be shooting 500 yards or more without one of the best M1A scopes. Since they’re all made for different types of shooting, let’s figure out which one matches your style. There’s something about the .308 caliber that gives people range fever. Although they’re perfectly capable of reaching your dream distance, they can’t do it alone. The further you want to shoot, the more magnification you’ll need. What is magnification and what does it mean? Check out our quick guide here to understand how lens measurements and magnifications work. Choosing a scope is all about matching your personal practices. Now, which one of these sounds more like you? Any good hunter can tell you that shooting effectively at long range isn’t something you’ll do on your first try. Although you’ll be chasing larger targets with the M1A, their size won’t matter at 800 yards. If 800 or 1000 yards sounds like the challenge for you, we suggest 10x power and higher. This is a comfortable range for most shooters. While you’re far enough from targets to go undetected, they’re still close enough for a clean kill. Not having to fight with windage and holdover makes it a lot easier too. When you’re in this kind of position, we think that 6 – 9x power is your sweet spot. Anything within close range of an M1A doesn’t stand a chance. However, if it’s paper and metal targets you’re after, you’re after a bullseye, not a kill. You can get just close enough to that center without blurring your vision from 1 – 5x power. The best scope for M1A rifles will be effective within at least two of these ranges. However, that doesn’t mean we’re taking sides in the fixed vs. variable scope debate! We just want you to have the means to be ready for any situation. Whether it’s up close and personal or a lengthy stalk, you need a scope that has your back! Isn’t it about time you evolve your M1A into its greatest potential? Which one do you think is the best scope for M1A rifles? Read our reviews below to get the big picture and find your perfect match! Let’s get down to business! Which one of these will take its place atop your M1A? The M1A Scout is commonly found among law enforcement users, but not exempt from civilians. While you can definitely take it for target practice, it’s the perfect defense weapon. It’s the sidekick you need for swift results. If you want to emphasize those results, you need the best scope for M1A Scout rifles. 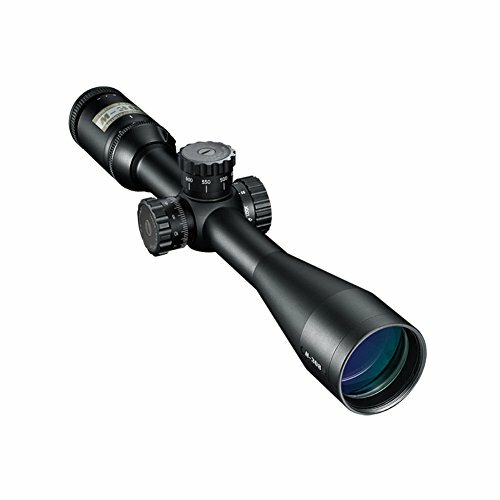 While Nikon has its .308 specific scopes, Burris has their very own Scout Scope. For fast, intense, close-range shooting, this is all you could ever ask for. It is without a doubt one of the best scopes out there if you own the scout version of the rifle. Beyond its durability, it offers low mounting options and long eye relief to keep you from squinting all day. You can track targets in a snap with both eyes open. To keep you moving faster than the target, the posi-lock maintains your accuracy through each round. No matter how rough the action gets, the multi-coated lenses will be safe from all shock, fog, and water. The only thing we see missing is an illumination enhanced (IE) reticle, which is invaluable to security and law enforcement. However, they compensate with a no-guesswork, lifesaving feature. Steel-on-steel makes for very audible clicks. While this is a bonus on any scope, it’s particularly important for Scout Shooting. In the heat of the moment, you don’t have a second to waste wondering about your settings. Moving with confidence is important in many defense situations, and the steel clicks will give you exactly that. If you have a Scout model M1A, look no further. While the price is a bit steep, it is well worth it. Everything you could want to shoot ultra-fast without losing accuracy is in this scope. Wouldn’t it be perfect to have a scope made exactly for your rifle? Don’t worry, there’s no “custom order” in the fine print here. This 800 BDC reticle design suits a .308 Win round with 168-grain HPBT match bullet. Although you’ll notice Nikon’s P-models shares this same quality, there are important distinctions. We’ll start off simple – are parallax adjustments important to you? Unlike its P-model cousin, this one is parallax free from 10 yards to infinity. You’ll also get more eye relief, maxing out at 4 inches, and a smidgen of extra weight – about 2oz. However, the extra FOV isn’t the only difference in your overall view. By now, you probably think a regular BDC reticle is as good as it can get. We hate to tell you, but you’re wrong. Rather than clutter your view with hashes and dots, the Nikoplex reticle has fine crosshairs. Within this clean view also lies an elevation cap measured by yards. When it comes down to it, this Nikoplex reticle is what made some opt for the M-model over the P-model. That’s how much of a difference it makes. As we’ve come to expect from Nikon, there isn’t anything lacking in this scope. It’s perfect for any range and has all of the features you need without going overboard. Although the price tag is intimidating, a serious shooter knows that it’s worth the investment. The M-308 would also be an excellent AR-10 scope. Close to medium range shots can get hectic with live targets. Of course, that’s part of the thrill, but losing track of them is not. UTG has your answer. Zero locking target turrets and zero resetting will make your shooting more accurate than you thought possible. Once you set it where you want, it locks into place so you can focus on what’s really important. If that’s not enough, the Side Wheel Adjustable Turret (SWAT) gives parallax range of 10 yards to infinity! Amongst all of these innovative features, there’s only one small issue. Tuning the side focus knob is sometimes difficult because it’s tight. Other than this one little hiccup, you’re getting high-tech features worth well more than what you pay. Of them all, the most impressive feature is the IE reticle. If you don’t know what an illumination enhancing reticle is, you’re missing out. For many hunters and target shooters, this is a must-have feature in a scope. Basically, when you see IE, it means that your reticle will light up for nighttime and low-light use. While most of them are just red, this UTG scope has 36 color modes for every possible scenario. 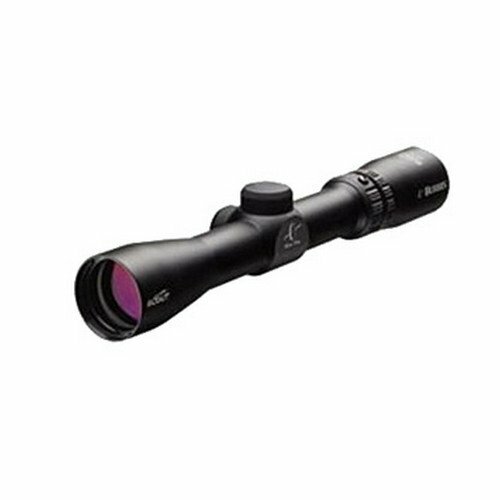 Overall, this scope was designed to catch your targets quicker and more precisely. Between the IE reticle, SWAT, zero locking turrets and reset, this scope does most of the work for you! When you mount this on your rifle, there won’t be any environment or situation you can’t handle like a pro. The Argos BTR from Athlon Optics is one of the best choices for a trusty M1A. 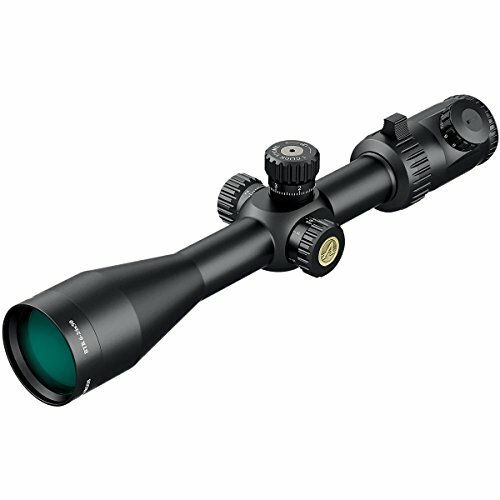 This long-range rifle scope not only carries the brand’s reputation but also brings enough new features to be a hit. The Argos BTR 6-24×50 MIL Reticle scope immediately impresses with its durable build quality, composed of 6061T6 aircraft grade aluminum. Its mechanics can withstand 1000G recoil up to 1000 times! So, you can bank on it to be a valuable investment. Coming to the view quality, the rifle scope impresses yet again. In addition to being fog-proof, this model is also shock-proof, water-proof and provides clear viewing under dim lighting conditions. How well one can shoot mostly comes down to their skills, but if you believe you’re a great shot, then this scope will be the best companion. You can zoom in on your targets up to 1000 yards away and take accurate shots thanks to the 6x-24x zooming capacity. But the icing on the cake is the illuminated reticle that acts as a game changer! This feature will allow you to view effortlessly in low-light conditions and when paired with excellent windage and elevation adjustment, you can count on shooting with incredible ease. The Argos BTR 6-24×50 MIL Reticle scope would have been perfect if it had better than 3.3 inches eye relief, which rather short for a scope of this caliber. If you can overlook that fact, this model is the right one for you! 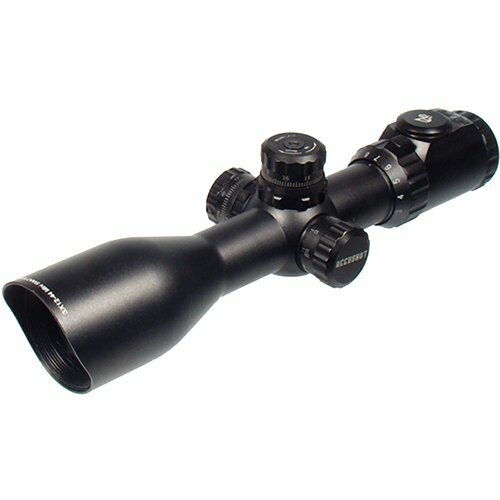 The Athlon would also be one of the best 308 scopes. There’s a scope in this list for every type of shooter, so which one are you? Are you a stalking long-shot drooling over the Nikon models? Perhaps you’re more of an “anything can happen”, spontaneous kind of person that needs that UTG Compact. On the other hand, maybe you’re a down and dirty, facing trouble head-on, no questions asked fighter. In that case, that Burris scout scope will become your best friend. We embrace what makes you different and so should your next scope. Don’t let your range buddies pressure you into an extravagant lens you’ll never look through. Instead, show them what kind of magic can happen when you pair up with your ideal optical match. Do you own a cheaper rifle? You might want to check our scope recommendations for Ruger Mini 14, Ruger 10/22. If you want even something more powerful than the M1A, check our 6.5 Creedmoor guide.